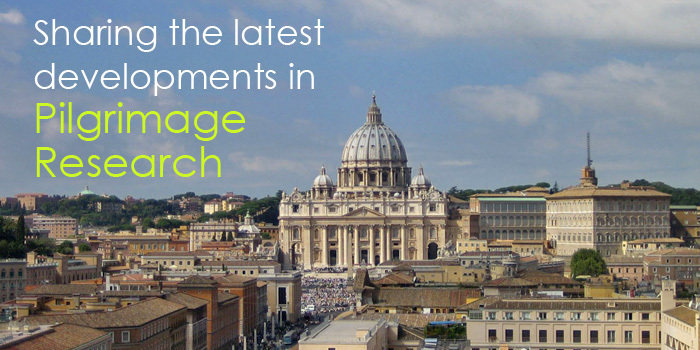 The Centre has been set up to strengthen communication and collaboration between the growing numbers of researchers, networks of scholars, and pilgrim organizations around the world. Its aims are to provide access to pilgrimage-related research and resources through an updateable online database, to publicise conferences and other events, and to encourage new research projects. Learn more about the Centre for Pilgrimage Studies, including those involved and our aims and objectives. Explore our database of 1000s of pilgrimage-related resources, including websites, biographies and hard-copy publications. The Centre is home to a large Arts and Humanities Research Council project, ‘Pilgrimage and England’s Cathedrals, Past and Present’. See our list of pilgrimage-related conferences and events, including those hosted by the Centre for Pilgrimage Studies. Read a new blog post by Professor George Greenia, entitled Pilgrims as readers & writers: some reflections.